Proms have become a staple part of teenage life and a rite of passage for many. 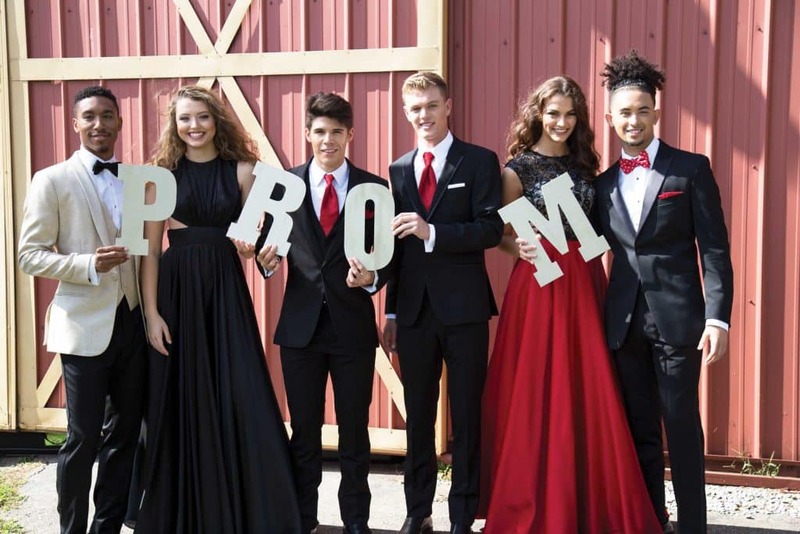 America is often credited with pioneering the Prom concept that has spread around the world but we have a taken a look at global trends! The South African version of Prom is without a doubt the most glamorous of them all. The last year of high school is known as ‘metric’, and the accompanying ball is the most important event of the year – sometimes more important than weddings! Students get their outfits custom-made (!) and spend a lot of time on planning the evening. Most graduates get their hair, make-up and nails done and rent fancy cars for a stylish arrival. On the evening itself, there are countless opportunities to have photos taken of this special event and there is an abundance of food and drink. The party usually doesn’t stop until the early hours of the morning. The American prom made its way to the UK in the late 1990s and it is celebrated bigger than ever! In Ireland the prom is referred to as ‘debs’ (debutante ball). Although the trend has come from across the pond, the graduate celebrations in the UK are nothing like the American versions. Because the students are usually a bit younger than in the US, the parties tend to be more low-key. But that doesn’t mean students don’t go ‘all-out’ with their outfits and make-up! There are a great selection of prom dresses in the UK and you will find all sorts of extravagant prom hair styles. The prom evening usually consists of a dinner and ceremony, followed by dancing until your feet hurt! In Germany, the exam period is known as Arbitur. Once the hard bit is all over and done with, the students celebrate with an Abiball. This is the ‘ball’ that is comparable to the American Prom. The graduates wear dresses and suits and you won’t find a single beauty salon that is not fully booked for blow drys or mani-pedis! Although the dress up part of the prom might seem similar to the classic American night, for German students it is not all about the romance. At the Abiball, you would take your parents to accompany you to the dance! The students, parents and teachers celebrate their graduation all together with a ceremony. The dance is then officially opened by a ‘Eröffnungstanz’ (opening dance). There is plenty of food, drinks and opportunity to take pictures. After the familial ceremony, the parents and teachers leave and students usually move to a nightclub to continue the party in the early hours! These two countries enjoy their graduation a bit early. Their last 100 days are celebrated with a special day called ‘Chrysostomos’ or ‘100-dagen feest’ (100-days party). On this day, usually around the end of January, graduating students pull pranks on their teachers and on younger students. Sometimes the school gets decorated by the students and there is a dress code. Any students who really can’t wait to graduate paint their faces and carry all sorts of pranks like slime or spray cans with goo. Later on, students perform for the teachers and students. As you can imagine, this is usually a silly play that is some sort of parody of the school. Of course this is followed by a big party in a nightclub – to which the ‘cool’ teachers sometimes join. Specifically in the Netherlands, in the household of the graduate a flag is hung out the front of the house with a backpack on to celebrate exam results day. This Central American country has their prom celebrations very similar to the traditional American Prom. The ‘Baile de graduación’ is held for students who finish high school. It takes place after exams and just before the graduation. However, at Costa Rican proms, the dancing comes before the dinner! Usually the students dance a waltz which builds up their appetite, and they then sit down for dinner. They continue to dance for the rest of the evening – as is expected of the Latin Americans!